Designed to help full-sized pickups work hard on tarmac, then work just as hard when roads are muddy, snowy, and rocky - or when there are no roads at all. The Open Country M/T combines solid on-road performance with extra ground clearance, higher load-carrying capacity, and greater ability to go off-road. 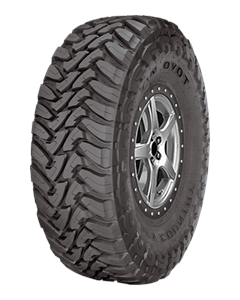 4x4 enthusiasts know it for its long wear, low noise and aggressive tread pattern.